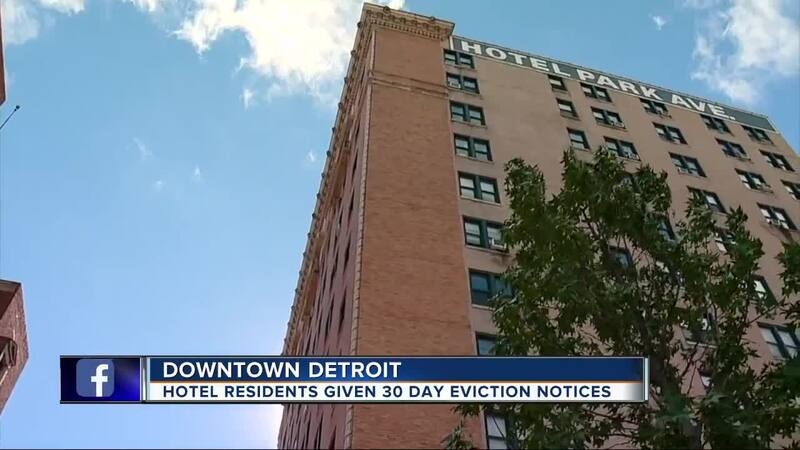 Residents at Park Avenue Hotel in Detroit received notice that they must vacate by November 6th. Approximately 180 residents live at the hotel, many of them for years. The property has been for sale by the owner Sean Harrington. Residents at Park Avenue Hotel in Detroit received notice that they must vacate by November 6th. Approximately 180 residents live at the hotel, many of them for years. The property has been for sale by the owner Sean Harrington. On Thursday Mayor Duggan spoke with residents at the property trying to find out why they were being treated this way. So far the city has not seen any paperwork showing the hotel has been sold. Although it is a hotel, many people have been paying month-to-month for years. Resident Kristine Thomason said many of the residents are elderly who don’t have many other housing options. “I’m fully capable of borrowing some money and figuring it out, but there are a lot of people in here that are older, they have no place to go, no family, no cars. They don’t even have a way to get boxes to move,” Thomason said. Park Avenue is not government housing, so the city has no way to block the sale. In recent years it has become a haven for affordable housing in downtown. Because of that Mayor Duggan said the city would do what they can to make this transition very difficult for the buyers. “When you treat longtime Detroiters this way, no one in city government is going to be welcoming you to our town. Their behavior needs to change immediately,” Mayor Duggan said. The city and the United Community Housing Coalition will hold a meeting on Saturday, Oct. 13 at 2 p.m. at the Central Methodist Church in Detroit to help find other housing options for the displaced tenants. WXYZ reached out to Sean Harrington, but we have not heard back.